Have a party under the sea with our Ariel Party Ideas! Ariel’s under the sea adventure is one that all kids, mermaids and fish would love to join (except maybe Sebastian). 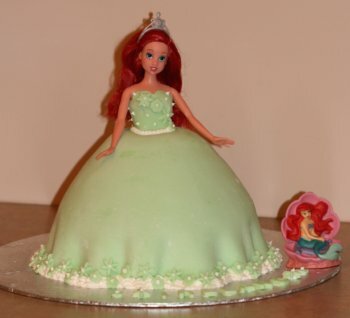 For your Ariel birthday we would like to invite you to King Triton’s Kingdom. Enjoy playing with Sebastian and Flounder at this unforgettable Little Mermaid Party! Decorate with shells, fish nets ect. Add decorative wall stickers. They are so cool. I have used these and they didn’t remove any paint from the walls! Hire an Ariel Princess (or have a friend dress up) to come and teach the girls to properly wave and brush their hair with a dingle hopper (fork), etc. Make a Treasure box. Have shoe boxes for the guests, spray paint them and have the guests decorate them with glitter glue, jewels (you can get lots at the ‘dollar’ type stores), etc. These boxes will all be a unique craft to take home. Ursula (like octopus) The child who is it, wears the Special Fish Hat “Ursula” and stands in the middle of a large area. The others are all on the outside. The child who is "it" (Ursula) yells “Ursula". The other mermaids (children) have to run to the other side without getting tagged. If tagged they are eaten and attach hands with “Ursula”. When holding hands they will eventually eat all the mermaids in the sea. 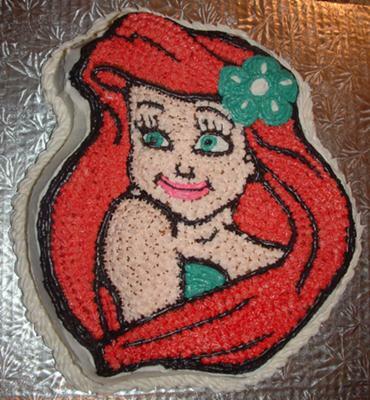 Share Your Ariel Party Ideas!